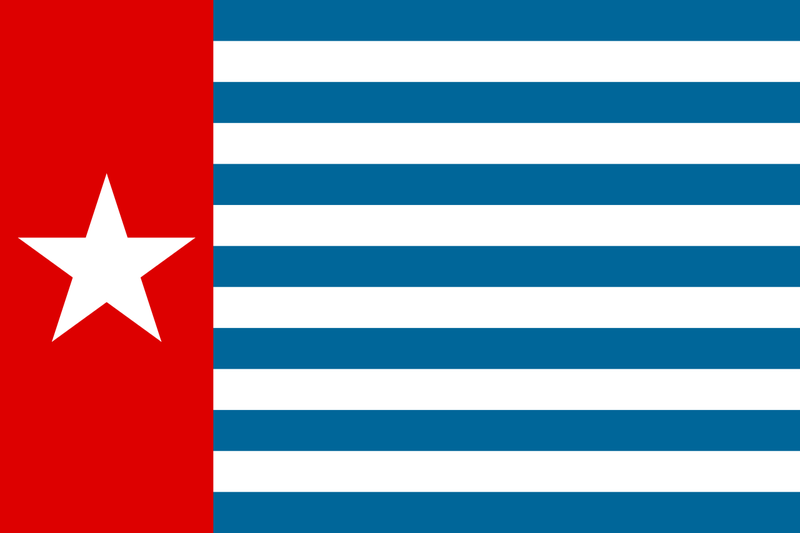 Flag of West Papua - also known as the Morning Star flag. Indonesia’s restive provinces in West Papua are not expected to factor heavily in this week’s national elections, but while most eyes will focus on results for President, vice president and the legislature, Papuan advocates are trying to get their issues into public view. Under an exemption, many rural parts of West Papua are allowed to use communal balloting. Under the so-called “noken” system, either the head of a tribe casts ballots for everyone, or ballots are gathered in public, in full view. West Papuan advocates have now turned to the country’s Constitutional Court to challenge how Indonesia acquired the western half of New Guinea in the first place. In 1962, the former colonial power, the Netherlands, agreed to let Indonesia administer the territory temporarily, with the United Nations to supervise a referendum by 1969. In that vote, just over a thousand representatives chosen by government officials and the military voted unanimously to remain part of Indonesia. It’s known as the Act of Free Choice, and widely regarded as illegitimate. It was approved by the UN General Assembly, though, and Indonesia says that permanently settled any question of sovereignty. The suit before the Constitutional Court argues that The Act of Free Choice violated the Indonesian constitution’s protection of human rights. The United Movement for the Liberation of West Papua has called on its supporters to boycott this week’s elections to protest what it calls Indonesian occupation.